Beyond having one of the nation’s most famous zoos, Nebraska’s largest city blends independent shops, artfully landscaped parks and world-class dining into a lively downtown, just minutes from the site of college baseball’s biggest games and the Missouri River. The Old Market is still hoppin’, but Omaha’s appeal extends beyond its famous district. 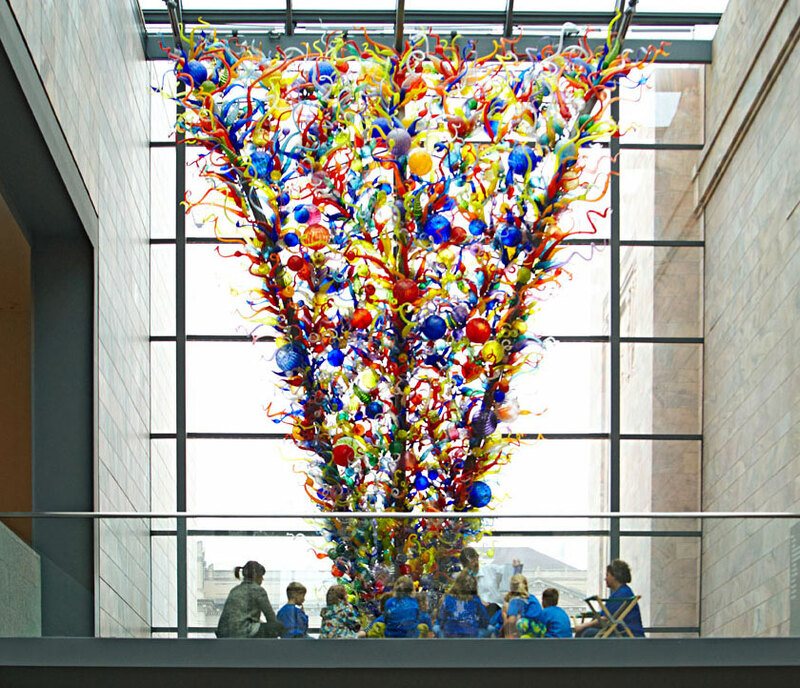 One of the nation’s finest Art Deco buildings houses Joslyn Museum and its more than 11,000 pieces, including the mammoth Chihuly: Inside and Out. 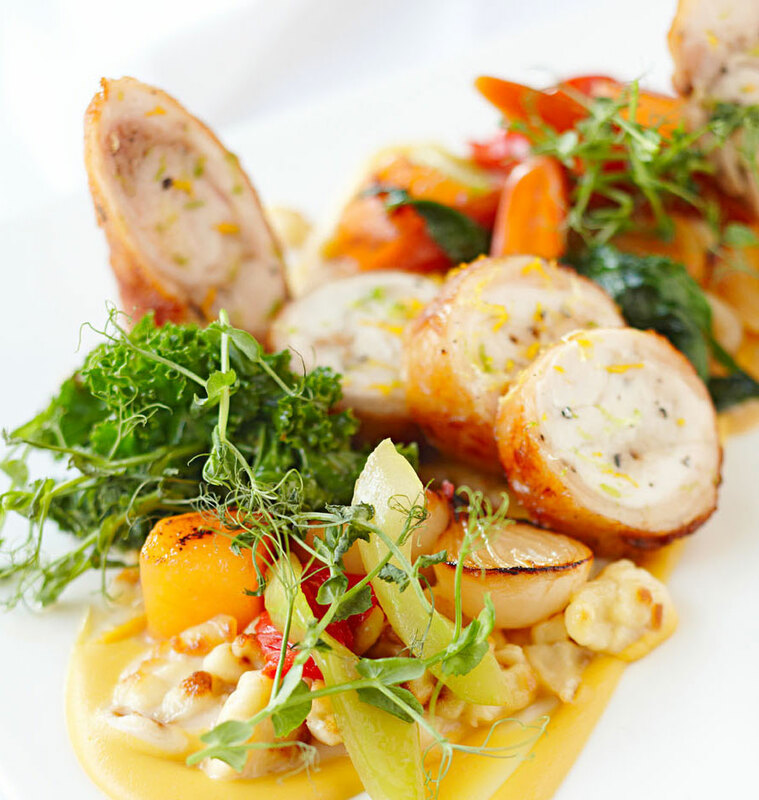 Chef Dario Schicke blends fresh ingredients with Belgian beer at his namesake Dario’s Brasserie in Dundee. Hang out at independent record store Saddle Creek Shop for live performances and album shopping. Durham Museum, a restored train station, carries visitors back to the state’s railroad days with a soda fountain, old streetcar and passenger train. Modern design and solid acoustics draw sophisticated patrons to Holland Performing Arts Center for the Omaha Symphony and award-winning entertainers. Each night, Magnolia Hotel Omaha puts out free milk and cookies, and guests sink into beds covered in custom linens (from $149). The 12 square blocks of the Old Market bring the romance of Europe and energy of SoHo to the Midwest. Artists showcase work in a revived warehouse at Bemis Center for Contemporary Arts. Lauritzen Gardens. Photo courtesy of Lauritzen Gardens. 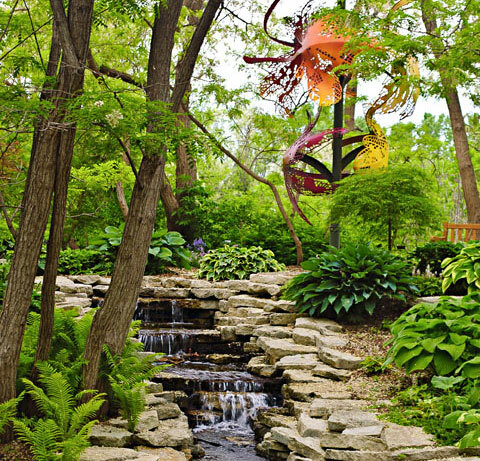 Two miles of paths wind through formal gardens and an arboretum at Lauritzen Gardens along the Missouri River. Lovers of dives will appreciate Dinker’s Bar south of downtown; Midwest Living® ranked its burgers among the region’s best. El Museo Latino’s art and cultural exhibits put the 24th Street Latino district into context. More than 1,300 species reside at the Henry Doorly Zoo. The Desert Dome, jungle, aquarium and Skyfari (a chairlift above animal enclosures) makes this one of Nebraska’s most popular attractions. At Zio’s Pizzeria, guests mix and match 40 toppings.